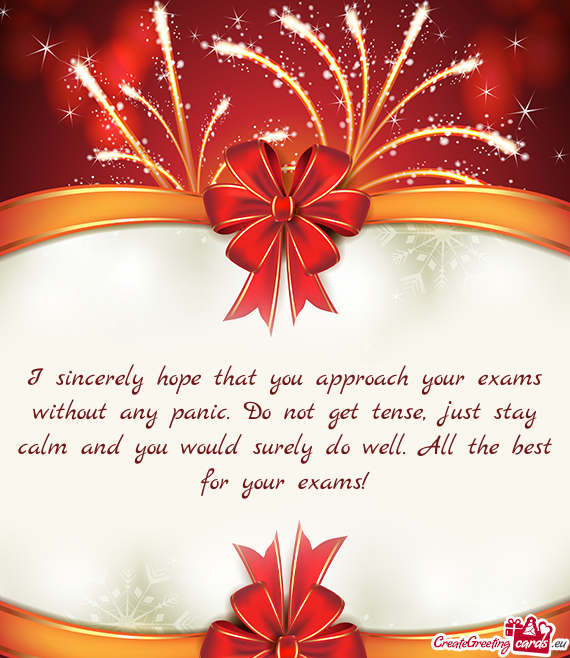 I sincerely hope that you approach your exams without any panic. Do not get tense, just stay calm and you would surely do well. All the best for your exams!